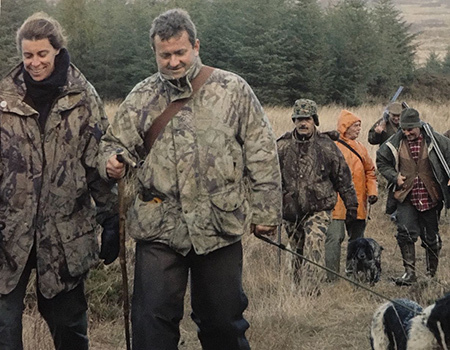 Eleanor and Mark Piper provide a unique Scottish sporting break on the beautiful Hebridean island of Islay. 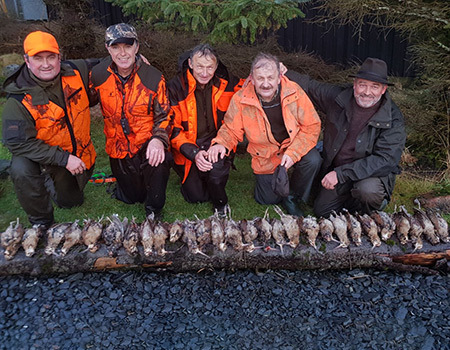 As well as woodcock shooting, additional pastimes include deerstalking, clay pigeon shooting, duck and goose flighting subject to seasons and availability. Maybe A Right And Left At Woodcock! 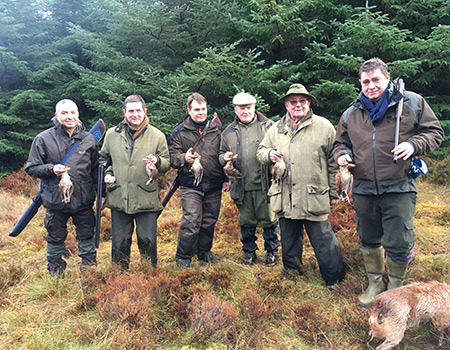 Shoot a “Right and Left” at woodcock and you become eligiable to join the exclusive shoot times Woodcock Club. Curretn members include: Earl Peel, Vinnie Jones and Richard Faulds. 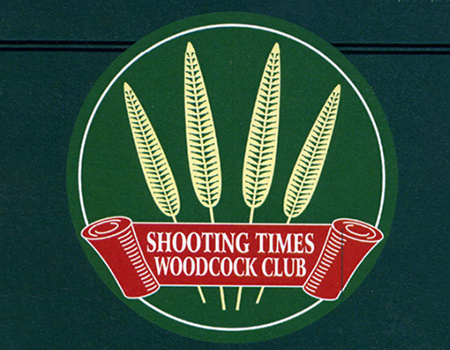 Both Mark and Eleanor are members of the Shooting Times Woodcock Club. 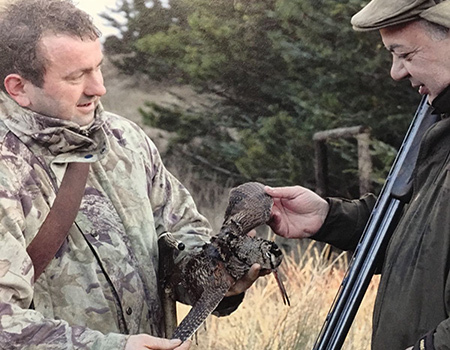 It is expected that an opportunity to shoot a right and left will be presented to a few lucky guns from time to time during the season. As to your success, well that’s up to you and your skill and ability! 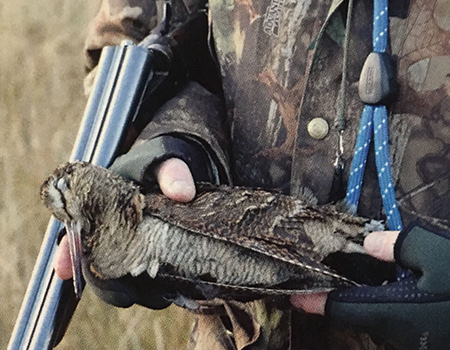 No guarantees mind as you are dealing with wild game. 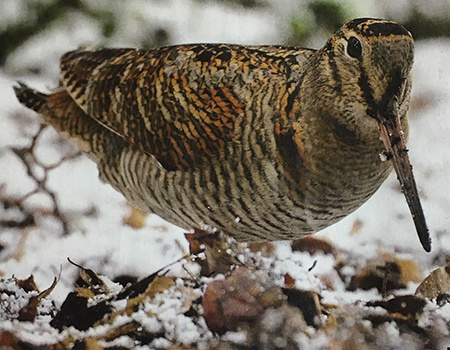 There is an exceptional fall of woodcock on Islay during their migratory visit from November through to January, and our blocks of forest, larch plantation and young plantings/more open areas are especially attractive to them. 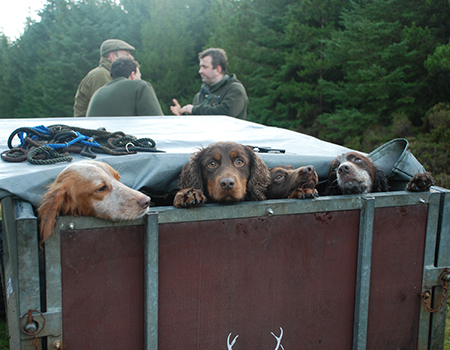 Teams of ideally 6 guns with their own working dogs and our woodcock hunting cockers, spend up to 6 hours per day hunting in The Gearach Forest. The joy of watching the dogs work the ground coupled with the erratic flying pattern of the woodcock provides you with the most testing of British sporting bird hunting. Teams of ideally 6 guns are strategically placed on rides within the forestry. 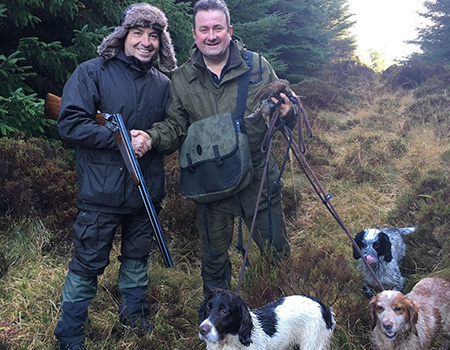 Mark and Eleanor with their team of woodcock hunting cocker spaniels then flush the birds. After a day of driven woodcock there is the additional excitement of evening flighting on the forest boundaries at dusk. 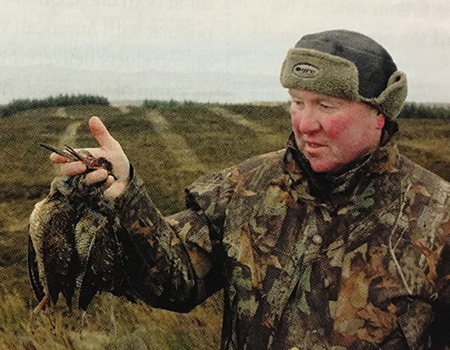 By nature Woodcock fly in an erratic pattern, providing the most testing of British sporting bird shooting. 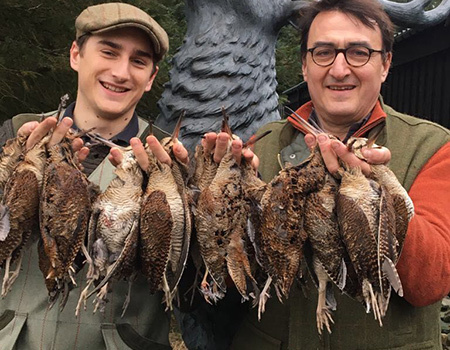 Your sporting break includes three days driven woodcock shooting and two evening flights. 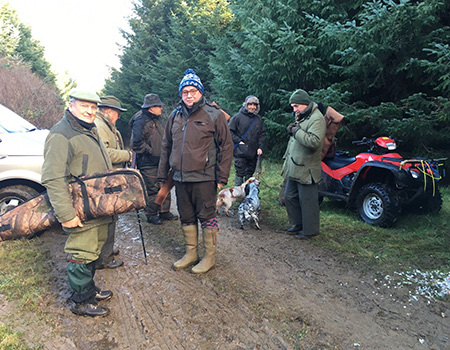 We offer kennel facilities that are built to UK kennel standards for visiting gundogs. 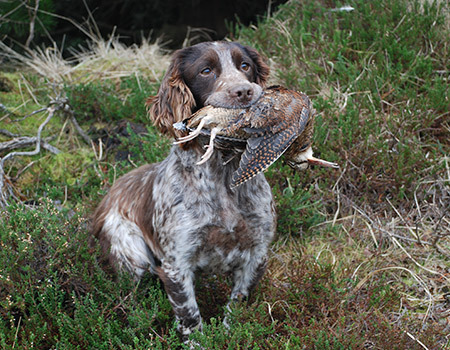 The service enables you to have peace of mind about your gundogs whilst hunting at The Gearach. Rough and mixed shooting is also on offer. 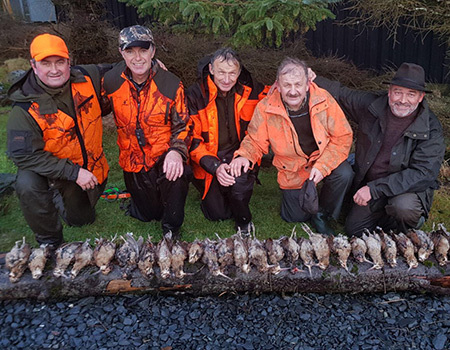 Game includes wild pheasants, woodcock, partridge, snipe, hares, rabbits, ducks, geese depending on availability. 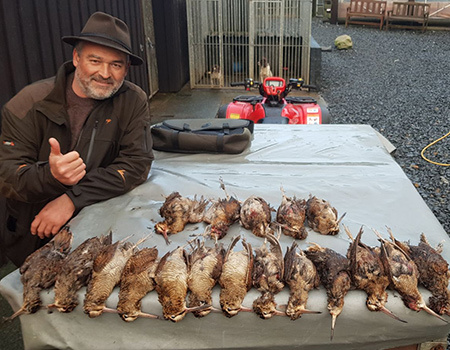 We field prepare to client’s instructions all trophies and place them in one of our freezers in readiness for dispatch to a taxidermist of the client’s choice. Trophies can either be tanned or mounted before shipping. 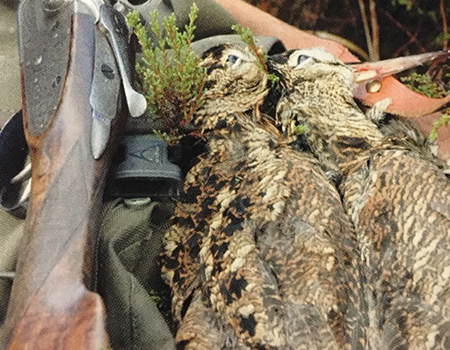 The Gearach is pleased to support the hugely successful Shooting Times Woodcock Club Dinner in raising funds for vital research by the Game Conservancy Trust. 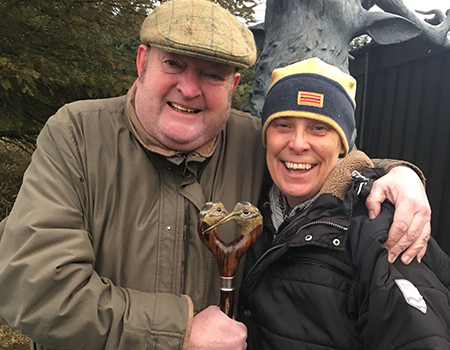 Eleanor and Mark are both members of The Shooting Times Woodcock Club.